News from Chamberlain Yachts and Merle Wood that their joint listing Summerwind, the Cheoy Lee 145ft motor yacht, has been sold. Built by Cheoy Lee in 1996 to a design by Frank Mulder, this tri-deck superyacht can accommodate up to 14 guests in six spacious staterooms plus up to 12 crew. Twin 1950hp MTU engines give Summerwind a range of 5,500 nautical miles and she’s due for an interior refit and major engine overhaul, meaning the owner is very realistic about her current value. 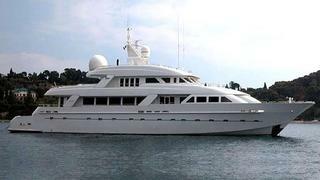 Lying in Fort Lauderdale, Summerwind was asking $2.95 million. Talbot Freeman & Associates, Bob McKeage and Kent Chamberlain were the brokers involved in the deal.